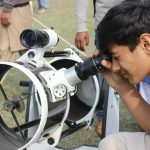 The second Lahore Science Mela kicked off at Ali Institute of education on 27th and 28th January. 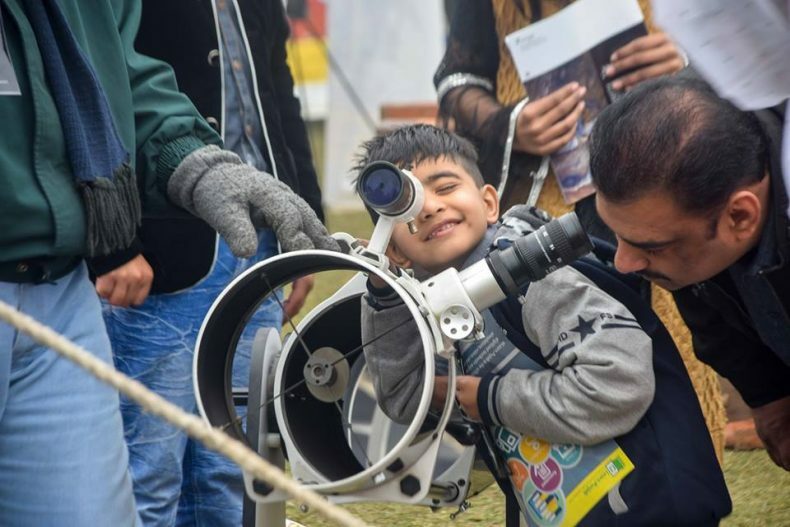 The event was temporary science museum of sorts which welcomed the people of Lahore to explore the scientific discoveries and milestones in Pakistan. 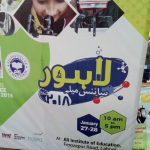 At this grand celebration of science, the Khwarizmi Science Society and Ali Institute of Education hosted around 70 exhibits of various government-based and private organizations. The visitors watched with awe while little scientists demonstrated their inventions and scientific experimentation. 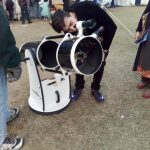 Various organizations and educational institutes became the part of the event including Pakistan Science Club, PCSIR, AIMC, LUMS, GC, CESOS University Peshawar, Robokids, EjadTech, and Lahore Astronomical Society. Interestingly, many shiny kids from various schools of the city and outside exhibited their models at the event. 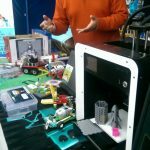 There were many fascinating models and presentations at the event, while we have come up with few of them that got our attention. 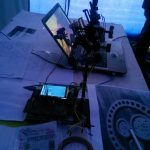 Ahsan Javed, a shining star of the event, presented a Laser Spirograph. It is a research prospect, based on the idea to present figures used in mathematics or business through a laser projector. It’s made from a laser module reflected off 4 motors each with a mirror mounted to the front. With only one motor running it makes the circle design, and then as each motor is turned on at varying speeds it produces the more complex designs. 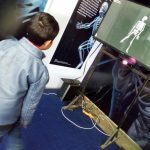 Muhammad Khan from Daood Foundation presented an augmented reality skeleton, which is basically used for physiotherapy, but in the event, it was set up for children to know about their skeletal system. Those dancing skeletons of kids were amazing to glance. The sensors built in the system simulated the movement of the human body and projected them on a screen in the form of a skeleton. 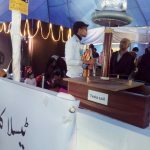 The device that was invented by Nicola Tesla back in 1981 was presented at the event by a student of LUMS, Bilal Azam. It was based on the idea that if the lightning flash of the electricity present in the atmosphere can reach the earth without wires, then why not same practice can be adopted for artificial electricity. It is considered as the core idea which led scientists towards the invention of wireless communication technology these days. A Tesla coil is an electrical resonant transformer circuit designed to produce high-voltage, low-current, and high-frequency alternating-current electricity. Danyal Tayab from NUST Islamabad presented various models of the RoboKids. 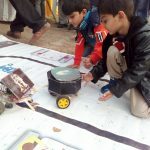 Robokids is an initiative to provide STEM (Science, Technology, Engineering, and Mathematics) education services in Pakistan. 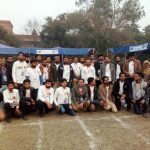 The company’s first venture is a Robotics center in Lahore that provides a genuine Robotics lab environment. It aims at providing children with the opportunity, tools, and guidance to help expedite their learning, especially in STEM-related fields, and gives them a platform to express their talent and creativity. The 11-year-old Moiz Mudassar surprised the visitors by extracting DNA from fruits; which was not only an element of surprise but also a source of inspiration to other children. A detergent is added to the pulp of the fruit to release the DNA from the cell membranes. The DNA is precipitated by alcohol where it becomes visible. The DNA you obtain using this procedure can be observed with a microscope and can be used for other experiments like electrophoresis or other experiments. 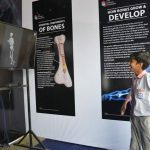 The event that focused on practical models was very encouraging for kids to explore their potential in science, where most of them think of it as a dry subject. 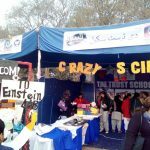 TechJuice has been the media partner of the amazing Lahore Science Mela.